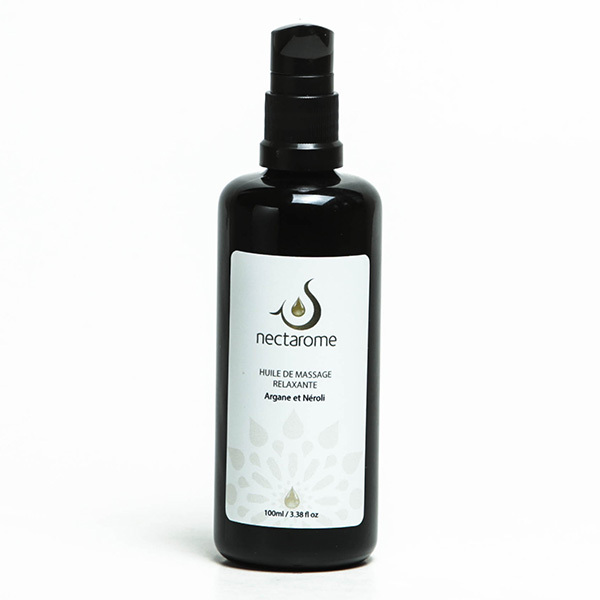 This relaxing Neroli massage oil rebalances the nervous system with its soothing and appeasing properties. It reduces anxiety, exhaustion and stress, therefore having a positive impact on an emotional level as well. It thus helps the body to entirely relax, and facilitates rest and sleep. Apply the oil on the entire body with soft and regular circular motions allowing it to penetrate the skin. Put special emphasis on the neck, the arms and the solar plexus. For optimal relaxation, perform massage after a bath or a Hammam.